MUBS. 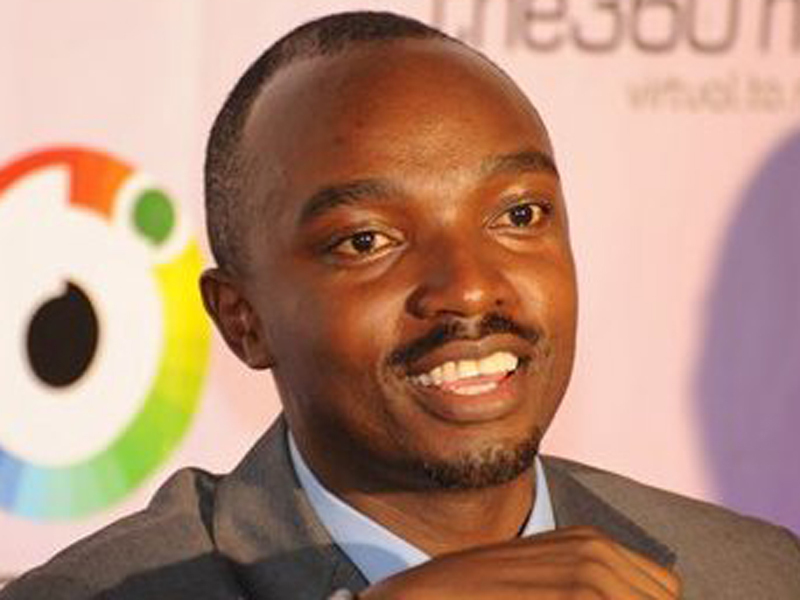 Red Pepper director and ex-seminarian Arinaitwe Rugyendo and friends on Thursday pulled out a 1993 church hymn composition they came up with as kids and launched it in Kampala. At the memorial mass to remember 23 of their colleague seminarians of Kitabi Seminary Bushenyi who died in a road accident on June 15 1993, Rugyendo and two colleagues – Primus Agaba, and Peter Gumisiriza outed the song – “Ruhanga Weitu Obahumuze” – a litany in honour of the 23 colleagues. Gumisiriza, who is studying to be a Jesuit priest, is the main composer, with Rugyendo and Agaba – a printing and media practitioner in Kampala as co-composers. The Kitabi seminarians died at Kashaka along Mbarara-Ishaka road 23 years ago, when a lorry rammed into the truck they were travelling in en route to a football match in Mbarara. Kitabi Seminary, apart from it’s known strong academic performances is also known for its in-depth strength at sports all round. 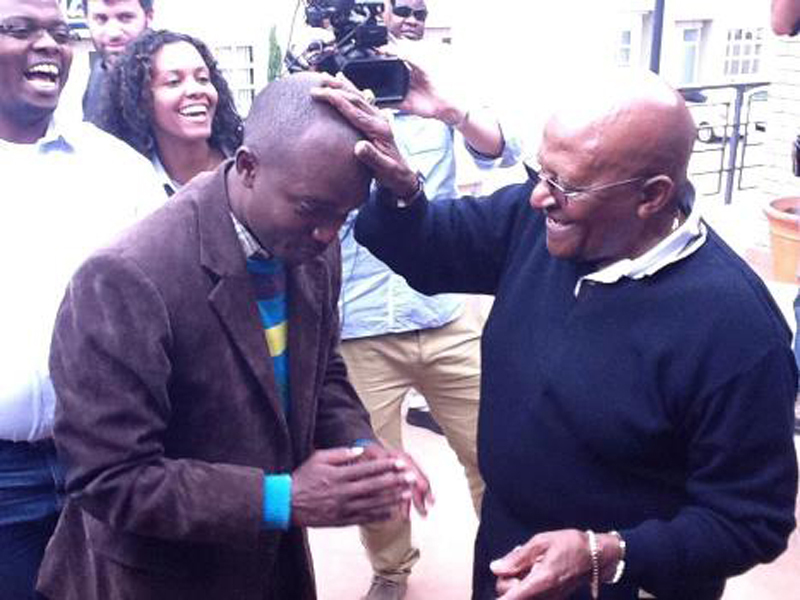 Rugyendo receives blessings from Archbishop Desmond Tutu. Rugyendo, then a Senior Four student, had been inspired with his friends Gumisiriza (S4) and Agaba (S3) to compose the song – sang in the original Catholic classical litany; after one of their friends – also then seminary choir master, Gastone Byarugaba, died in the accident. The trio were all part of the choir at the time. At the Thursday Mass held at Makerere University Business School in Kampala, Rugyendo said himself and colleagues will make an official recording of the Song in its original form and make it available because the original composition had been adulterated overtime. The recorded official version will be available by end of June, he said. 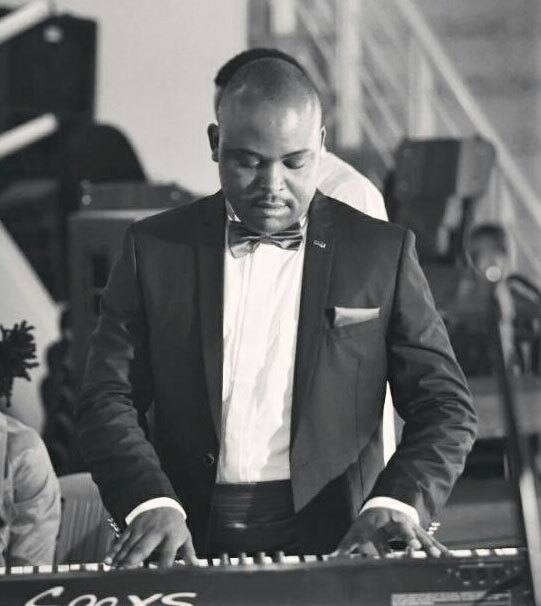 Primus Agaba on the keyboard. The Thursday mass was organised by Kitabi Seminary Old Boys Association (KISOBA) and was presided over by Rev. Fr. Diido Nsekanimanya, former Rector at the seminary. Fr. Benedict Barungi, also a former Rector and Fr. Mukasa Barekye, the current director of studies and the seminary co-celebrated the mass. Old girls of neighbouring St. Cecilia Girls School were among the many that attended the mass at MUBS. OKISOBA chairman Assistant Police Commissioner Ubaldo Bamunoba said this will be an annual event.